Deer Park, Texas residents no longer have to have fear or anxiety about dental treatment. With modern dental sedation Dr. Nugent can perform dentistry while patients are in an extremely relaxed state. Many Deer Park, Texas residents have a fear of the dentist. They get a sick, uneasy feeling when they think of visiting the dentist. And these Deer Park residents are not alone. Over half of the Unites States avoids the dentist until they experience severe dental discomfort. The most common reasons for skipping dental visits are cost and dental anxiety. Let’s focus on cost first. Yes dentistry is a cost people rarely budget for. Maintaining a health mouth with routine cleanings and check-ups is less than a couple hundred dollars a year. The financial consequences of avoiding the dentist are staggering. Fillings, root canals, teeth extraction and dental implants are much more expensive then routine care. Regular cleanings and dental check-ups will detect problems early. Small problems are easy to correct. Next, let’s look at the cost of dental care. A healthy mouth is less than a couple of hundred dollars a year. Usually insurance covers this cost. However, if you do not maintain good oral hygiene and avoid biannually visits, the cost jumps. Root canals, tooth replacements and oral surgery cost far more than years of dental care. Regular cleanings and examinations detect diseases in their early stages. When you feel discomfort, the problem may require drastic and expensive procedures. Sometimes the removal of teeth is necessary. Dental anxiety and fear is very common. Dr. Nugent has special licenses from the State of Texas to administer dental sedation in his Pasadena, Texas Dental Office. With simple laughing gas (nitrous oxide) or oral medication, Dr. Nugent can make you completely relaxed during your dental treatment. 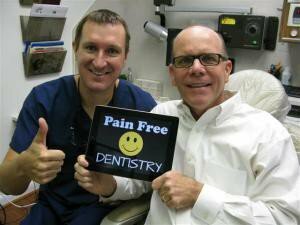 Deer Park, Texas residents choose Dr. Nugent for his expertise in dental sedation. 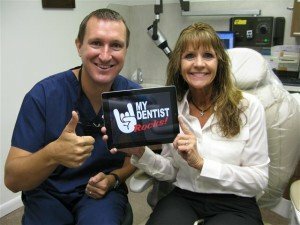 Choose the best dentist possible for you and your family.